It's fair to say that the NES Mini and SNES Mini have been very successful ventures for Nintendo, selling millions of units and creating a new awareness of the company's glorious past. However, when the NES Mini was announced it felt very much like Nintendo was playing catch-up; we'd already seen officially-licensed products which replicate the performance of the SNES' main rival, the Mega Drive / Genesis. Produced by AtGames, this range of plug-and-play devices has been available for years - although the quality of the emulation and overall production values are noticeably lacking in comparison, and early indications would suggest that the 2017 model of the machine - which boasts HDMI output, finally - will do little to buck this trend. 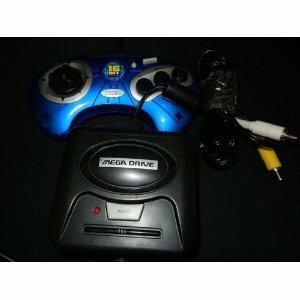 Speaking at the 3rd Game Business Archive conference in Japan, Treasure co-founder Masato Maegawa expressed his desire to see a proper attempt to make a "Mega Drive Mini"; a machine produced under close observation by Sega itself that matches the quality seen in Nintendo's offerings. We can assume Maegawa means the same slick UI style, save states and better components and emulation all-round. As well as expressing his need for this new hardware, Maegawa revealed a few pieces of information regarding Treasure, the famed developer behind hits such as Gunstar Heroes, Radiant Silvergun, Mischief Makers and many other classics. 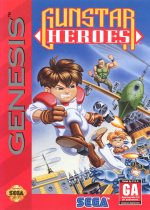 Gunstar Heroes, he explained, shipped around 70,000 copies in Japan and 200,000 copies abroad. 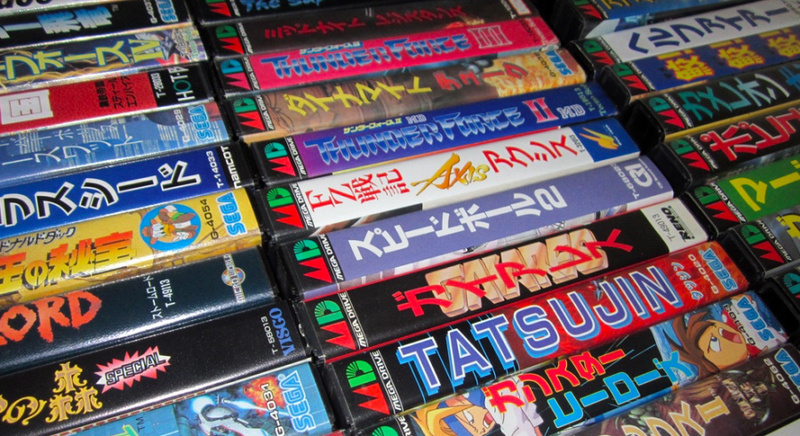 The first shipment in Japan was just 10,000 units, and it took a while for Sega to meet demand for the game. Indeed, Maegawa is quite critical of Sega, the company Treasure has perhaps worked most closely with over its lifespan. He says communication with Sega was poor; for example, his studio received no support during the development of Yu Yu Hakusho: Makyo Toitsusen - a fighting game based on the famous anime which is regarded as one of the studio's most technically impressive Mega Drive efforts. He finally added that throughout its life, Treasure has always created games with an eye on overseas markets. I would buy a full featured Mega Drive/Genesis Mini for any price. Make no mistake, "Yu Yu Hakusho: Makyo Toitsusen" is the finest fighting game in the system and its enhanced engine would go on to power "Guardian Heroes" on the Sega Saturn. A bit heartbreaking to know that even back in those days Sega was already mishandling their partners. ...and heck yeah, I would buy a Megadrive Mini (and PC Engine Mini, Neo Geo Mini for that matter) if their quality was up to Nintendo's own product line standards. @Bunkerneath It will have been an AtGames system, they're just using the licence. The quality of the emulation is poor. Hey, I totally agree with this idea. The current HDMI atgames unit corrected much of the past problems as it went towards copying Nintendo kind of with a slicker menu, android emulation core, better internal parts. That awful firecore emulator of the last 10years is dying out. And that picture of a mini genesis/md there is from radica games if Im seeing that right, the one time atgames wasn't involved. There were 2 of the units, some with 2 controllers. The best one had a mix of SF2 CE and Ghouls n Ghosts on it, and the other had sonic and something else. I owned a Mega Drive, and frankly I can't remember any more games beyond Sonic 1-3, Mean Bean Machine, Ecco, Toejam and Earl... my mind goes blank after that. Not exactly the stellar Snes Mini lineup, is it? Past, present and future, I have no faith in Sega’s management to make the right calls and figure out what to do with their IP catalog and hardware legacy. It’s much less painful to expect nothing from them. A lot of devs still have passion for the good old days of Sega, but I’ve seen nothing from their management that suggests they feel the same or are clued in. Getting rid of the AtGames agreement would be a start to honoring the console. It's funny how good Yu Yu Hakusho: Makyo Toitsusen is compared to a lot of fighting games created around the same time, but it's also sad they couldn't do Yu Yu Hakusho justice in games released after Makyo Toitsusen. But I have megadrive games on my mini...SNES mini anyway. There are some GREAT Megadrive games, it has the FAR superior versions of Aladdin and NBA Jam as well. @bolt05 Though it did have some superior versions like you mentioned and some classic like Sonic 1, Streets of Rage 2 and SF2 it's catalog simply wasn't as good as SNES. And this coming from someone that owned a MD and played over 150 (I jolted down the games I played in a paper... yeah kids) of its PAL games. Not sure why Sega keep with ATGames, interesting when the licence expires if they do something themselves. Such a shame after the amount of work they put into designing the MD/Genesis to let it be wasted. @Bunkerneath Had one of those, first time I played Mean Bean Machine, Altered Beast, golden axe, Flicky . Good times, remember the emulation being good (much better then new ATGames versions) only downside you couldn't change the games. Isn't Tectoy doing something like this in Brazil? Don 't they already have those? 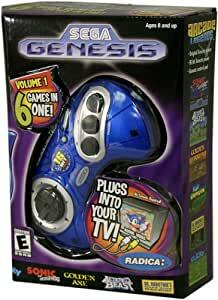 I used to own a Sega Plug n Play. How about a Saturn, or Dreamcast? Didn't Sega make a handheld? OMGS! I owned that! Or at least one of em. Mine had Ecco the Dolphin, Sonic 2, Columns and a few others I can't remember. That sounds just about perfect! Don't forget Jurassic Park and Zombies Ate My Neighbors. Do it Sega!!! At games can’t handle the emulation! They should have asked Maegawa-sama to supervise any such project like this from the beginning. Not including Gunstar Heroes was just one of AtGames' huge oversights for this. While it is neat to have these old systems, what I would prefer though is that some of these companies put their entire old catalogs on a single Switch cart and sell it that way. No need to hunt down the mini systems anymore, just buy the games and play on the go with the Switch. I would pay a bit extra if it meant having most, if not all, of their old retro games on a single cart (have to admit, they wont need much space, so the carts would be cheap on the production end). @Tempestryke There were 2. The Game Gear and then a portable handheld Genesis called the Sega Nomad. "He finally added that throughout its life, Treasure has always created games with an eye on overseas markets." I like that approach from the few Japanese devlopers who think this way. I like these japanese style games that seek to appeal to more than just the japanese audience. There are some classic games here that straight up tanked or were largely overlooked by the Japanese audience. At times I feel like the jp market can be a bit shortsighted in only focusing on domestic sales. Sega are missing a few opportunities to make money - Classics versions of their old systems and remasters of the first two Shenmues are the most obvious! @tangram I still have my MD and games too. It doesn't have as many rpgs that's for sure but it has a lot to offer. Sega MD was more popular than snes in my school as a kid apparently this was the case in many places in the UK too. My two favourite games on the Mega Drive are Quack Shot and Thunder Force IV. After a poor pre-production showing with reviewers that sent AtGames back to fix issues, the quality of the emulation is fine on the new AtGames product. Gone is the poor Genesis-on-a-chip that plagued the company's earlier efforts. Sega, make the Genesis Mini YOURSELVES!!! Stop letting AT Games do it, they only make it worse. Make the emulation better (especially the sound quality) and actually get some third party games! Castlevania Bloodlines, Michael Jackson’s Moonwalker, and Earthworm Jim are must haves! And there are other games that were missing for no reason! I don’t know where Sonic the Hedgehog 3 or Phantasy Star IV went! I have so much negative things to say about the trash AT Games make. The extreme lack of third party is mind boggling. The only 3rd party games I know are on there is Mortal Kombat, and those are only on some consoles! The others have Streets of Rage. Why can’t we have both? They are both great games that deserve recognition in this generation, so why not have both? No, we need space so that only 40 of the games are actual Genesis games! The other 40 should be random shovelware! What?! I saw the shovelware, it’s just crappy puzzle games, crappy arcade games, and ripoffs of other franchises (one of them is literally called “Bomber.” I’m sure you can guess what game that ripped off). And the audio, good GOD the audio!!! I’ve heard better sounds if Jar Jar Binks and Fred Figglehorn had a baby and enclosed them in a box of helium! Why is it so bad?! I played Sonic the Hedgehog on the thing, and the music is so out of tune and just...not right! You can play Genesis cartridges on it, but here’s the problem. Not all of the cartridges are compatible, and the console ruins the audio and visuals on the cartridges that are compatible. Are they trying to be bad?! The controllers are bad too. They are wireless, but you have to point them directly to the console for it to work, which makes it awkward and uncomfortable to use. The button positions are a bit odd, they feel weird when you press them, and the D-Pad is atrocious. Using the D-Pad feels like sliding your thumb across a knife. At least you can plug in an actual Genesis controller, and those aren’t too expensive to buy. @bolt05 I too had a MD and 99,99% of my friends did too which allowed for weekends in where we'd have 3-4 games borrowed (by brother also had a nice network). Though there were nice games for MD the truth is that there were greater games on SNES in all fields except maybe sports games. And many others I'm not that fond of, but many people would love to see in a Mega Drive mini, like jrpgs, sport games, strategy games, etc. There are more than 30 games that would fit this device. Both consoles were legendary. I have a SNES Mini, and would love to see a Mega Drive mini.